By now you’ve most likely heard of the new tech gadget Google Glass, the device that brings the internet and augmented reality right into your field of vision. 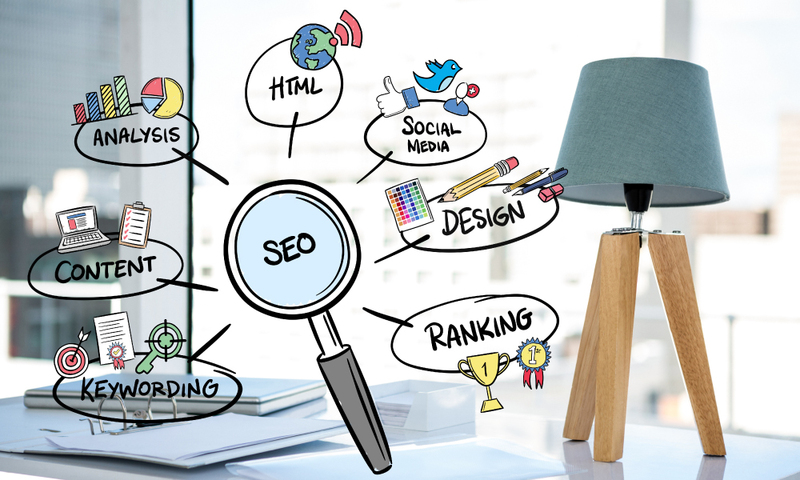 There is a lot of discussion and speculation about it within the tech community, but there hasn’t been a lot of talk about how it might affect the world of internet marketing. 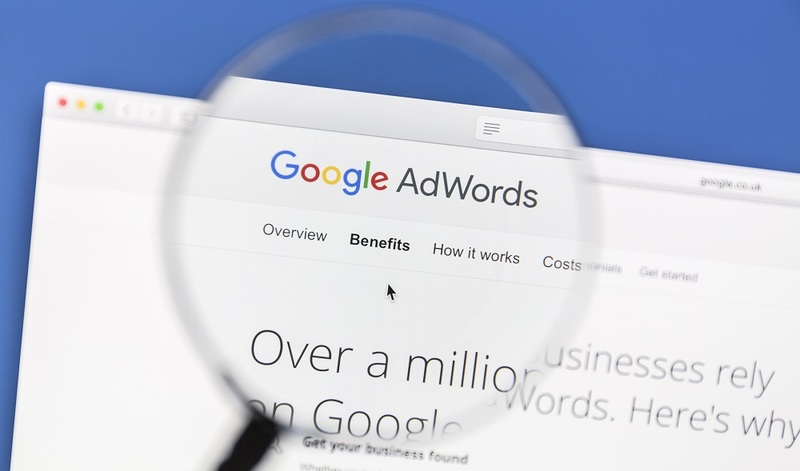 That’s probably due in part because such talk would be mostly speculation, since Google have not said very much about how they are going to use this platform from a marketing and advertising perspective. In fact, they have plainly stated that they have no plans to incorporate ads into Google Glass for the time being. Searches will be even quicker and easier, especially on the go. With Google Glass, we’re moving beyond having information at your fingertips wherever you are. We’re talking about seamless voice activated search that pops up in front of your face as you are looking at a given establishment or discussing plans with friends. The importance of mobile (and perhaps Glass-optimized) business information will be absolutely crucial. Augmented Reality and Local Search. Imagine standing outside a restaurant and calling up everything from their menu, rankings and reviews to seating availability, to coupons to social history (which friends of yours are here or were here recently?) all by voice activation and having it optimally displayed in front of your eyes. The possibilities here are staggering and could profoundly change the way we interact with the world. Businesses would have a whole new space in which to compete for a customer’s attention. Enhanced Social Connectivity. We do know that Google Glass will emphasize social sharing, by making it easy to capture video, pictures and audio and share then with friends. This will give business reviews a whole new dimension of immediacy and complexity. The social aspect of a business’ reputation will be further underlined, for better or for worse. From the types of discussions going around on the internet, it doesn’t seem like there will be a gold rush as soon as Google Glass is released. There are still too many unknowns as to how it will be embraced by users. Still, if it does catch on, it’s important to stay ahead of the curve and anticipate how your business can benefit from this technology. Keep a close eye on Google. 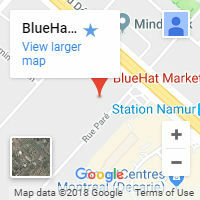 At BlueHat, we strive to stay on top of all developments coming from Google. This is simply crucial to providing our clients with the best possible internet marketing services. Make sure you have an active and optimized Google+ profile. Google is increasingly linking all of its properties and technologies through its Google+ social network, from Google Places to authorship and Author Rank. Google+/Local results will be integrated into Google Glass, and your business needs to appear on those searches. For local businesses, local search results and social media must be a priority. Google Glass will be a heavily geo-targeted marketing platform, and your local business’ online presence needs to be optimized for local searches, reviews, and social media sharing. 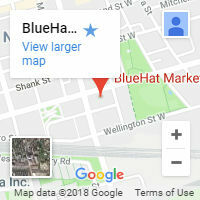 When Google Glass is released in a couple of months, the BlueHat Marketing SEO team is going to watch intently as early adopters bring the device into the market. Anticipating online trends is an important part of our business, and we’ll be on top of whatever revolutions in marketing this new technology could potentially cause.